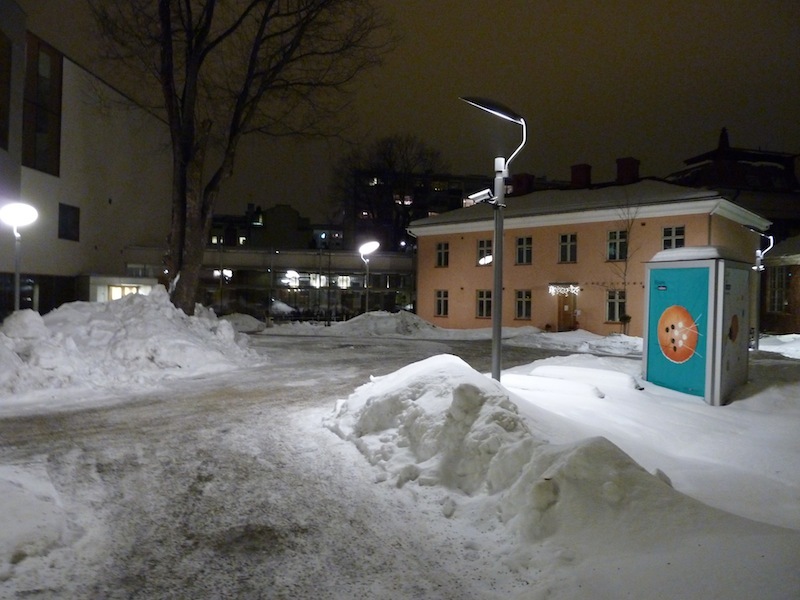 au revoir, Darkness – Helena Hildur W.
110120, Åbo/Turku City library yard by night; all photos HHW. 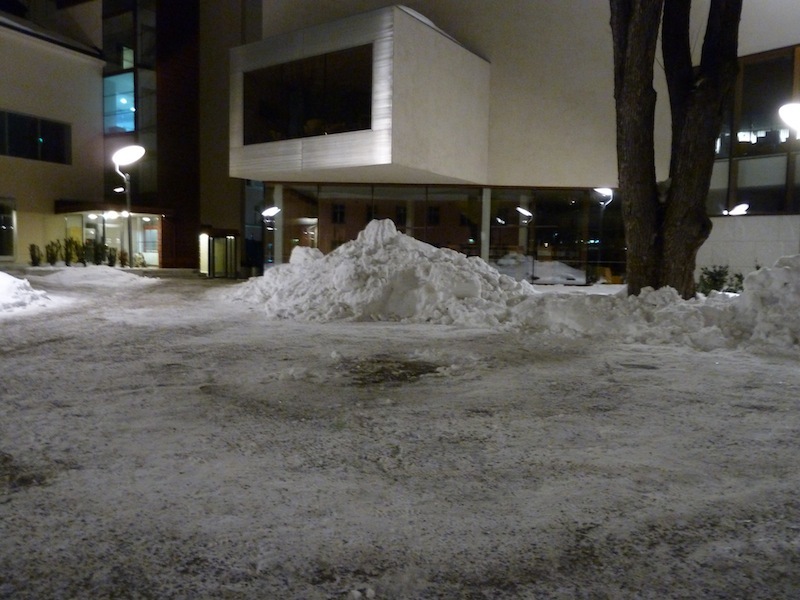 Not only terrastella, but the Honeycot by Reino Koivula and Simo Helenius’ Bow are taken down, too. 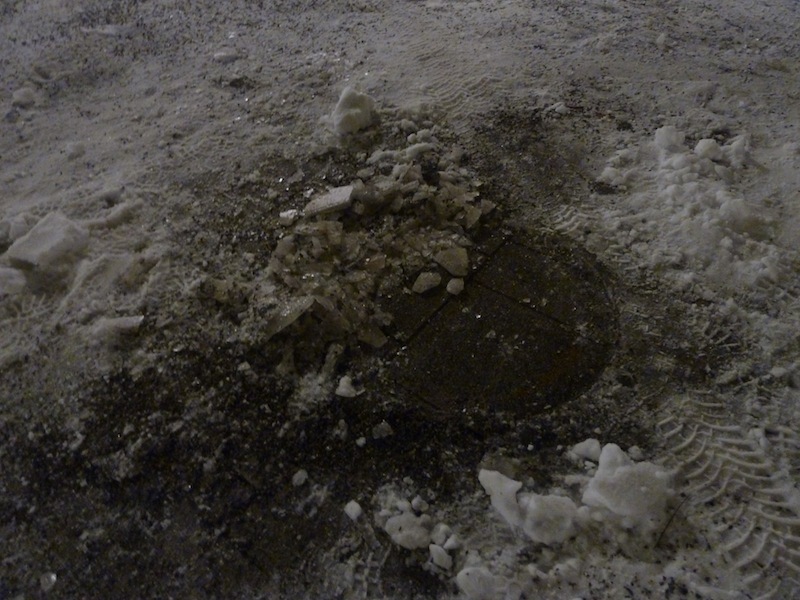 The people of Åbo/Turku have made good use of the Cots of Darkness, and treated them well; during the last three months, we have had thousands – literally – of visitors, and almost no damage. Thank You, and au revoir!